The Cat Claw Skin Scratcher will help you make your point in style. 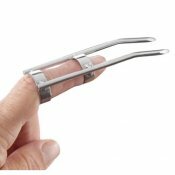 Wear this mischievous device like a ring on your finger and use it to tease and torment your partner. 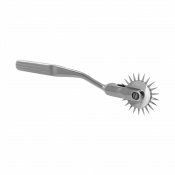 Twin stainless steel points extend beyond the tip of your finger and let you engage in wild sensation play with your lover. Run them over their chest, back, thighs, or anywhere else you think needs a little scratch. The possibilities are only limited by your imagination.